1. 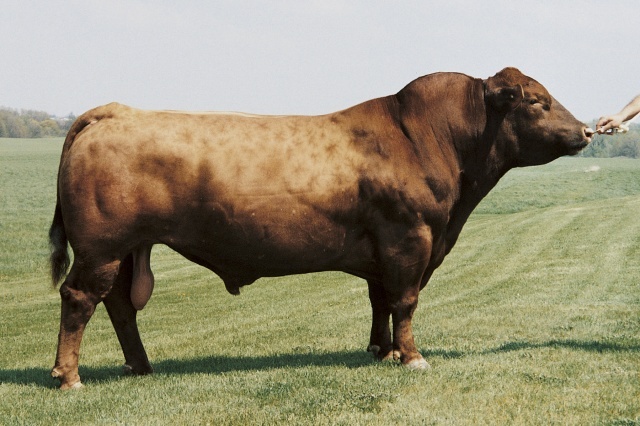 One of the heaviest used bull in the breed. He is rock solid for BW, high performance, and maternal value. 2. Below average frame size with lots of volume and capacity. 3. Has good feet and legs along with a nice muscle pattern.